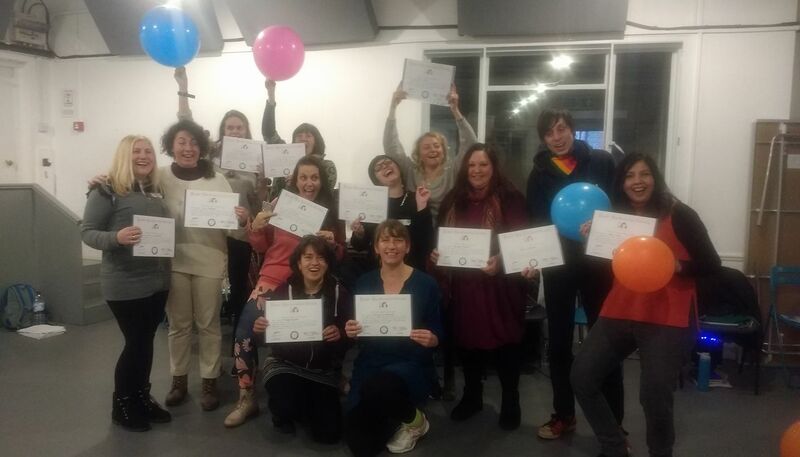 Laughter yoga leader training Fully – Certified 2 day course in London Angel and Islington, near Kings Cross August 23rd and 24th 2018 and optional opportunity to attend and paticipate! in a Laughter Yoga Class on 25th August in Archway. This 2 day certificated laughter yoga training course will give you the tools and techniques to get you started running laughter yoga workshops for groups. You can also start a community laughter club which is an ideal way to gain experience. The laughter yoga leader certificate will enable you to obtain insurance for facilitating laughter yoga workshops. You will also receive membership to our private Support Network on facebook for our Laughter Leaders where you can connect with other Laughter Yoga Leaders and Teachers. Pre-requisite: Having participated in a Laughter Yoga Workshop. Contact Odette for details of her laughter classes or another that you can attend prior to training. Please note I exclusively offer my students this as an ongoing opportunity subject to availability as it will help you gain experience and increase your confidence to start your own club/classes. Laughter Yoga Leader Manual plus exclusive content from laughter yoga wellness training academy. You will receive both a PDF and ring binded manual in a handy handbag size. Support via our exclusive facebook support group. Morning Laughter Yoga Class – Saturday 25th August 11am – 12.30pm (optional) opportunity to attend my laughter club and share an exercise with a live Group of willing laughers. Laughter Club venue is in Archway. The laughter class is in Archway at Hargrave Hall. Odette, our founder and Laughter Yoga Teacher. She has a background in various Holistic Therapies including Laughter Yoga, Laughter Facilitation Skills, Energy Healing (Reiki Master), Sound Healing ( Gong Master) and Mindfulness and Meditation teacher. Known for her caring nature which includes random acts of kindness and offering a warm heart, a pair of socks and a woolly hat and conversation to homeless people. She works full time running her wellbeing and training company, Laughter Yoga Wellness London and UK and London Gong. Going further back, Odette worked a 9-5 in I.T so she is a shining example that change is possible. In the event that the training provider cancels, a full refund will be made. This entry was posted in and tagged lady ha ha, lady haha, Laughing Yoga Training, laughter yoga academy, laughter yoga courses, Laughter Yoga Courses London, laughter yoga leader training, laughter yoga teacher, laughter yoga training, laughter yoga training academy, laughter yoga training in london, laughter yoga wellness training academy, Laughter Yoga with Odette on 23rd August 2018 by Odette.